As I am writing this, it appears that the new Wembley Stadium may finally be finished. The original, built for the Empire Exhibition of 1924, was presumably built on time and lasted longer than the British civil aircraft industry exemplified by the Handley Page W8F G-EBIX on the Imperial Airways issue here. 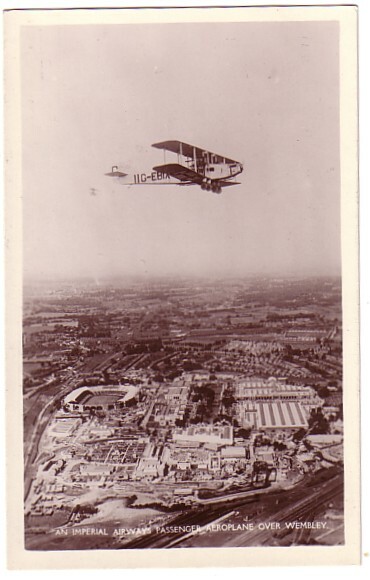 This card is one of the 570 so far identified by the Imperial Airways listing project of which more later, along with some cards of Imperial in less familiar locations than the many and various Croydon cards. On the other hand Colin Cohen has so few new issues to report that his back page has shrunk to pictures of two that have appeared. But while Colin takes a break our other long-term contributor from Italy, Leonardo Pinzauti returns.